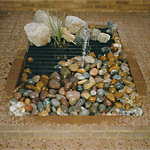 Water features play an integral part of the modern garden. 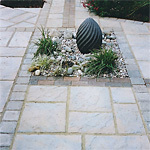 The sound of running water is both soothing and relaxing and attracts wildlife to your garden. 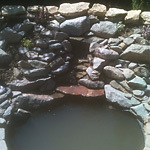 We are experienced in creating ponds, waterfalls, streams and fountains from the smallest self-contained water features to the largest of koi ponds. 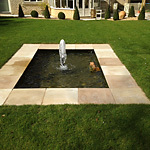 Working in conjunction with a fully qualified electrician you can have the latest lighting features installed in your garden and pond to enhance the night time experience. 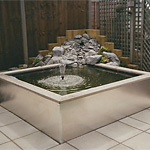 Pond liners can be purchased pre-formed or can be bespoke shapes using butyl or PVC liner. 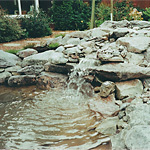 Add a pump and filtration system to your pond to oxygenate the water. Add a UV light to prevent green water issues. Very many thanks for a good job, well done.